Martha Stewart's brand has survived a stint in jail, taped-to-live show switch-ups (despite this being her last season of The Martha Stewart Show), and slightly embarrassing made-for-TV movies starring Cybill Shepherd has a beleaguered Martha. However, this last court visit might do her in: Macy's sued Martha Stewart yesterday for breach of contract, and says that the DIY design doyenne violated her deal with the department store by selling certain products outside of Macy's label. 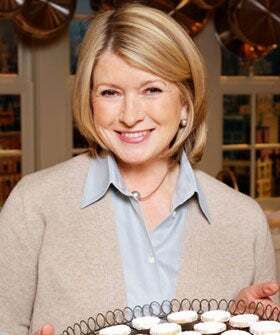 JCPenney has just acquired a stake in Martha Stewart Living Omnimedia Inc. and planned to sell Martha merch starting in 2013 (cookware, kitchen goods, bed and bath), though her contract with Macy's doesn't end until January of 2018.